The first Test of the South African tour of Engand gets underway on Thursday at The Oval in SE11,just about a week before Lord’s in NW8 will host the Olympic archery tournament. Much has been spoken and written about the fact that this Test series, traditionally comprising five Tests (though lately shorn to four), would see the teams rated as the world’s number one and three battle it out only three times, at the Oval, Headingley and finally at that well-known archery venue, Lord’s. Though considering South African captain Graeme Smith’s previous Test performance at Edgbaston perhaps we shouldn’t bemoan a shortened series – Smith produced one of the great match-winning innings of all time in 2008, a real captain’s performance which also won the series, plus the Birmingham ground was the scene of an indifferent final Test against West Indies, albeit without Anderson and Broad. Smith has seen his team enjoy much success on both his two previous England tours as captain, having seen the opposing skipper resign each time, first in 2003 when Nasser Hussain quit then five years later when Michael Vaughan followed suit. Smith had been an injury concern for a while for this series, but is expected to lead out his team at Lord’s in what will be his 100th Test (including the World XI vs Australia match). Sadly another personal milestone will not be reached, as ‘keeper Mark Boucher was forced to retire following a serious eye injury in the opening warm-up match against Somerset – the Oval Test would have marked Boucher’s 150th appearance for the Proteas. AB de Villiers will don the gloves for the first Test, reserve Thami Tsolekile having also been drafted into the squad. While reading a prepared statement from Boucher following his surgery, Smith paid tribute to Boucher as “a true Proteas warrior”. Smith has also paid tribute to the current England team, saying it represented “probably a better England team than they’ve had for a long time”. Certainly England are currently on a high, having seen off number one rated ODI side Australia 4-0, one ODI being washed out, without a single number seven needing to bat. Five of the top six batsmen and bowlers were from the England ranks, and England have now won their last ten ODIs with Alastair Cook in charge. In Tests though, the number one side have not had things all their own way so far this year, being humbled by Pakistan in Dubai and Abu Dhabi and splitting a two-Test series with Sri Lanka before finally seeing off 8th-ranked West Indies. They have been much better with ball than bat, at least in Tests – not a single one of the top-order batsmen can point to a Test average of even 40 since the new year, while South Africa have three batsman who have averaged more than 75 over the same period. As a result of that poor form England only has one batsman in the ICC top 10 and that just barely, Alastair Cook at number 9, though hopefully KP’s knock at Guildford is a sign of things to come – meanwhile South Africa can boast four batsman ranked that highly, with de Villiers and Kallis at 3 and 4, Amla at 7 and Smith at number 10. Jacques Kallis may be the most under-appreciated cricketer of my generation – those same ICC ratings see him as having achieved the 10th best batting rating of all time. His average sits at 57.02 after more than 150 Tests, with 274 wickets and 180 catches thrown in for good measure. While South Africa might enjoy a slight advantage with the bat on paper, the two sides are closer with the ball – Dale Steyn, Vernon Philander, Morne Morkel and Imran Tahir for South Africa, and James Anderson, Stuart Broad, Tim Bresnan (or Steven Finn) and Graeme Swann will make things very interesting for the opposing batsmen and will hopefully make these matches well worth watching. England’s one question-mark involves the number six spot, with Ravi Bopara’s recent sparkling ODI form against Australia possibly giving him pole position ahead of Jonny Bairstow and Eoin Morgan. 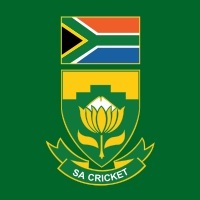 South Africa have also been rotating the number six position following Ashwell Prince’s omission, with Jacques Rudolph immediately replacing him but with Faf du Plessis also in contention. The tourists are presumably feeling confident enough as they’ll face the number one Test team having played only five days of warm-up cricket. Five ODIs and three T20 matches will follow the conclusion of the Test series, but South Africa, unbeaten away in Tests since 2006, will be looking to extend that run against an England team which has itself not lost at home since 2008 – to South Africa. It remains to be seen if the unfortunate circumstances surrounding Mark Boucher’s enforced retirement will galvanise or deflate them – I suspect it will be the former. South Africa need to win by two Tests to overtake England as world’s number one Test side, while a win for them by one Test would see both teams tied at the top. My own feeling is that an enthralling series will produce a 1-1 scoreline, with England taking the first against a possibly (and understandably so) distracted South Africa, but with a strong South African side girding their loins to come back to square it, a result which will leave England alone at the top. I can’t wait! South Africa look so good on paper. If de Villiers keeps, will they play an extra batsman? You’d think he’s remain at 5. You’d think if AB keeps and bats at 5, it would be great if they had another high quality bat at 7, or a batting all-rounder if there is one around? Kallis already fills the batting all-rounder slot, so I’d imagine they’d play Rudolph. Is he in the squad? Rudolph would play ahead of Duminy; no indications at all that they were about to change that. But Duminy will still play now that Boucher is out.